Imagine a land of bio diversity, a relatively small country that has an enormous variety of wildlife due to its neotropical climate and varying habitats. This peaceful, ecologically responsible land is home to more than 500,000 species, respresenting nearly 4% of the total species estimated worldwide. It is one of the 20 countries with the highest biodiversity in the world. Of these species, a little more than 300,000 are insects. The fact that, along with Panama Costa Rica formed a bridge between North and South America around three to five million years ago allowed the very different flora and fauna of the two continents to mix. From the magic of washed up trees on a beach in Domincal, Nature’s gallery of artistic perfection-random and beautiful-to the most minute eco system warriors that might go unnoticed if not for my viewing life through the zoom lens of a Nikon camera-my constant companion when we lived there. Leaf cutter ants, one of 47 species of leaf-chewing ants and can carry 20 times their body weight. We discovered hundreds of leaf cutter ants right next to the beach, which extends from the jungle that borders the volcanic mountains of Costa Rica. Just look at the bio diversity in that last sentence! 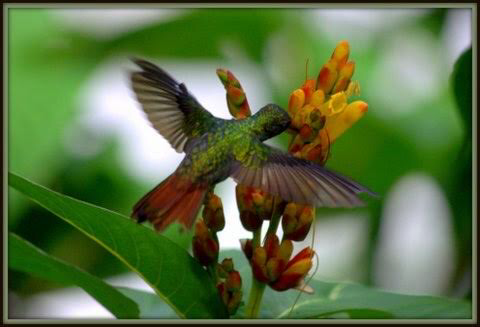 From the rich colors of dozens of birds we saw every day..
To my friends, the iguanas and lizards that graced our doorstep with their presence daily, waiting for a few bread crumbs and a chance to be immortalized on digital memory! Every day was filled with such diversity, often without leaving my front porch. I loved hanging out with the fun, freaky, fantastic family of nature in the land of Pura Vida. Nature is constant. So must we nurture it, accept its presence and necessity in our lives and embrace all that the world has to offer. We were blessed to have known even a brief adventure in this paradise.